Christmas has always been special. When we were kids, we looked forward to toys, chocolate, a visit to the amusement park or a fair to see Father Christmas (Santa), but most of all, to mum’s party jollof rice and chicken. However for some children, this is not the case. 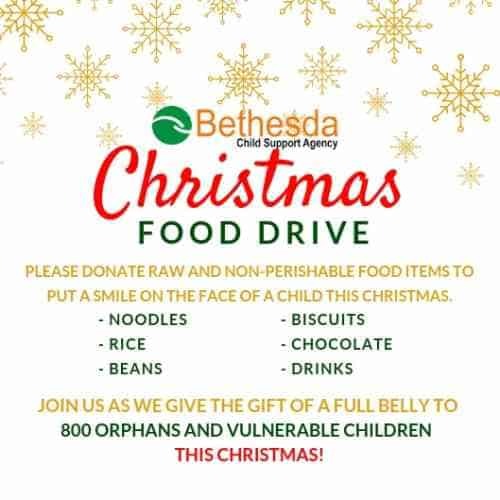 At Bethesda we currently cater to over 800 orphans and vulnerable children and they are not as fortunate to have the Christmas most of us had growing up. For them, Christmas is like any other day except that this time they feel left out. Today, we kick-off a 5-day Christmas Food Drive for these children. 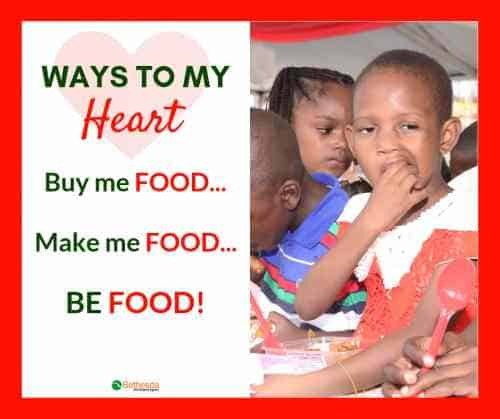 In the next 5 days we are appealing to you to donate non-perishable food items like rice, noodles, beans, vegetable oil, etc., so as to give our children a memorable Christmas like we had when we were kids. The Dome, Freedom Way Off Admiralty Way, Lekki Phase 1, Lagos. Block 3, Street V4, Abraham Adesanya Estate, Ajah, Lekki-Epe Expressway, Lagos.